Vandalism of the public rail network is a concerning thing no matter where it is in our country. 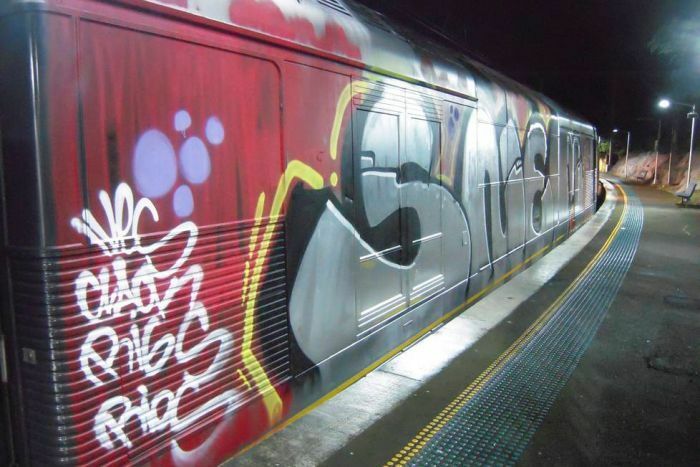 One of the biggest acts of vandalism in the state of New South Wales is graffiti & it’s removal or clean up on the NSW Trains Rail Network accounted for $34 million dollars during the last financial year. The graffiti is not only a pain for cleaners, but is one of the top customer complaints for the Network. Trying to be one step ahead of vandals in an effort to reduce these costs, some test deployments of a new electric sensor capable of detecting vapours from spray cans & markers have been in place on trains around the network…and the sensors are already showing positive results. The sensor nicknamed “Mousetrap” has already led to the successful arrest of 30 individuals. Used in combination with network CCTV, the sensor alerts can be provided in real time to both the Sydney Trains & the Police Transport Command Control Centres. With the amount of money that is spent on dealing with over 11,000 tags per month, a small investment into a positive technology like this one is sure to put a decent old dent into the vandalism throughout the rail network and could be an ideal solution for other graffiti victims around the country should it not be cost prohibitive.